The Utah Genealogical Association DNA seeks to provide genealogical information, sources and education through personal instruction and published media on family history topics while promoting high standards and ethical practices. UGA DNA is excited to offer an exclusive, interactive Q&A with Jonny Perl, creator of DNA Painter, the grand prize winner in the DNA Innovation contest at Rootstech 2018 in Salt Lake City, Utah. 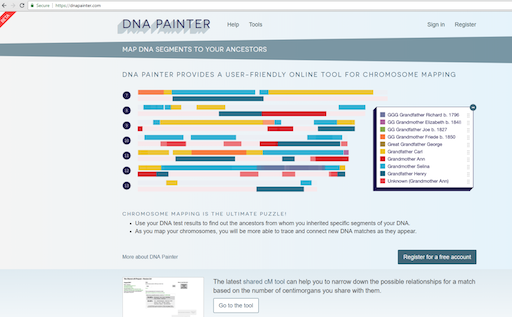 An expert genetic genealogy resource, Jonny has offered to answer common questions on using his groundbreaking resource, DNA Painter, and the other tools offered on his website. Our UGA DNA team will work with submissions by members to create a list of commonly-asked questions that Jonny will answer with suggested resources, examples or even short video clips. Questions can be submitted through 18 Mar 2019 via our UGA DNA Facebook Group or directly by email to dna-sig@ugagenealogy.org. Download the 2019 schedule for a quick overview of what's in store this year. The upcoming webinars are also available in our events calendar. Presented by Dana Leeds on 26 Mar 2019. In this webinar, Dana Leeds will present an overview of the Leeds Method, demonstrate analysis of the resulting spreadsheet, and provide examples of case studies using this innovative tool. This method visually identifies groups of DNA matches who likely share common ancestors. It does not require advanced computer skills nor advanced knowledge of genetic genealogy. And, since previous knowledge of the test taker’s family is not required, the Leeds Method is useful in adoption and unknown parentage cases. This method is not only a great first step when beginning to work with DNA matches but is also a great additional step to see DNA matches from a new perspective. It is also a great tool for investigating matches who do not have trees. While working on an adoption case in 2018, Dana Leeds developed an innovative method for sorting DNA matches that has proven helpful to both traditional genealogists and those working with cases of unknown parentage. 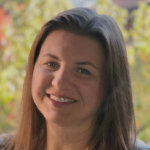 A genealogist for over twenty years, Dana has completed an Advanced Genetic Genealogy course at GRIP, Excelsior’s Advanced Genealogical Research course, and Boston University’s 15-week Certificate Program in Genealogical Research. Presented by Thomas MacEntee on 23 Apr 2019. Presented by Michelle Goodrum on 28 May 2019. DNA can add to the paper trail providing the last piece of the puzzle to tell your ancestor’s story. Follow along with this case study to see how the paper trail & the DNA evidence match up. Michelle Roos Goodrum is a Teaching Assistant for Boston University's Genealogical Research Program since 2015. In the fall of 2018, she joined the teaching team for BU's Genealogy Principles course in their Genetic Genealogy module. Her genetic genealogy journey began when Michelle attended the first ever week-long DNA class. It was offered at the Genealogy Research Institute of Pittsburgh (GRIP) in July of 2014 and taught by Debbie Parker Wayne, Blaine Bettinger, and CeCe Moore. She has since attended numerous genetic genealogy courses both online and in person. 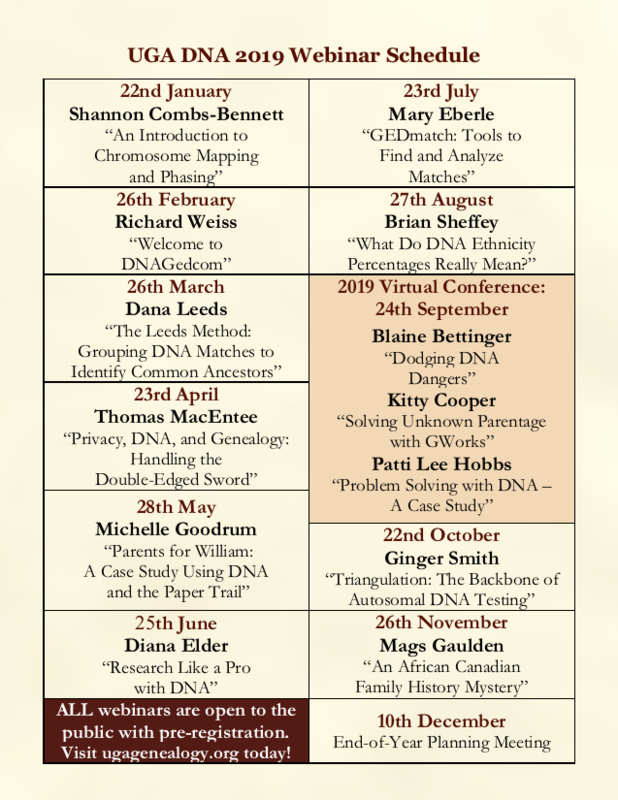 Two of them were offered at SLIG: Advanced DNA Analysis Techniques (2015) taught by Blaine Bettinger, Angie Bush, and CeCe Moore; and Establishing Genealogical Proof with DNA (2018) coordinated by Karen Stanbary. DNA is a great tool for genealogists to use in solving difficult cases and for corroborating (or refuting) traditional documentary genealogical research. It's also a rapidly changing field and one which researchers must work to keep up with! Presented by Diana Elder on 25 Jun 2019. How are you using the powerful new tool called DNA to further your genealogy research? Do you look at your matches and have no idea what to do next? What you might need is some order to your genetic genealogy research so you can make progress on your brick walls. Learn how the Research Like a Pro process can be adapted to work with DNA. 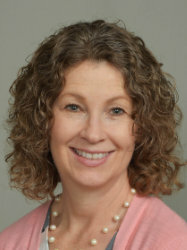 Diana Elder AG® is a professional genealogist and author. 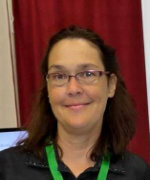 She is accredited in the Gulf South region of the United States and is the Presentation Specialist for The International Commission for the Accreditation of Professional Genealogists (ICAPGen). Diana is the author of the bestselling book, Research Like a Pro: A Genealogist’s Guide and creator of the “Research Like a Pro” study group and e-Course. Diana and her daughter, Nicole Dyer, are the hosts of the Research Like a Pro Genealogy Podcast and share research tips at their Family Locket website. Presented by Mary Eberle on 23 Jul 2019. GEDMatch is a free, third-party website that accepts DNA test results from DNA testing companies, such as Ancestry, FTDNA, and 23andMe. It has both free tools and paid tools useful for genealogy. GEDMatch can also be a great way to find new matches. Learn how to use this helpful website. Mary Eberle, JD, is a genetic genealogist and founder of DNA Hunters,® LLC. Her team finds people’s biological parents, grandparents, and other ancestors. She is also an educator, a national speaker, and the author of “23 Best Tips for DNA Testing and Family History.” Mary is a retired patent attorney with extensive DNA experience. Over 30 years ago, she began her scientific career. She developed DNA tests for transplant patients. Today, Mary clearly explains DNA by weaving stories, metaphors, and examples into her teachings. What Do DNA Percentages Really Mean? Presented by Brian Sheffey on 27 Aug 2019. So you have taken the plunge and done a DNA test. You have your ethnicity percentages. But what do those percentages mean? 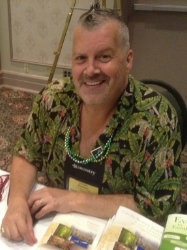 Genealogy Adventures Live co-host Brian Sheffey steps you through his those estimates are calculated - as well as anthropological and geo-political factors you should consider when interpreting and working with your ethnicity estimates. Brian has deep family roots in colonial Virginia and the Carolinas: from his Jamestown-founding European ancestors to his earliest African ancestors who arrived in 1619 to the Powhatan, Choctaw, and Creek tribes...and his colonial Quaker ancestors in the mid-Atlantic region. His passion for genealogy was inspired by his father, and his father's drive and desire to discover the story of his family. This understanding inspires his work to help others uncover their own ancestral stories. Brian combines years of experience in marketing research and academia with a passion for genealogical research - and a unique ability to solve seemingly impossible cases. His primary research interests include cases of unknown parentage, such as identifying the white progenitors of mulatto family lines; and triangulating answers to tough genealogical questions using traditional records and genetic evidence. Behind his passion for research lies the belief that genealogy is an opportunity to connect with Americans from different backgrounds to enable them to connect with each other – and make connections around the globe. Presented by Blaine Bettinger, Kitty Cooper, and Patti Lee Hobbs on 24 Sep 2019. Presented by Ginger Smith on 22 Oct 2019. Triangulation can be used as a tool to help us determine how we are related to our DNA matches and to find common ancestors. Ths presentations covers triangulation from basics to advanced with examples of the following: triangulating with parents, grandparents, known relatives, & unknown matches. Triangulation tools offered by testing companies and third parties will also be discussed. Ginger Smith, owner of Your DNA Diva, is a Genetic Genealogist specializing in genealogical research in the South and using DNA testing to learn more about family history. She holds a BS in Biology and an MLS in Library and Information Sciences. She has been doing family history research for several years and is a DNA consultant to adoptees and people interested in using DNA to break down their brick walls or learn more about their family history. In addition to performing genealogy research and DNA consulting, she also lectures and gives workshops on various topics. Presented by Mags Gaulden on 26 Nov 2019. A scientist in Ottawa, wants to know what his real last name is. The family lore? The great grandfather, Samuel, was adopted by an African-Canadian gentleman, Abraham. The adoptee, Samuel, was the son of Abraham’s wife’s sister. Family photographs of Samuel’s children reveal Anglo-Canadian boys. Taking all the information from a family Genealogy done previously and adding aspects of traditional, forensic and genetic genealogy we will extend the story, finding the truth to this family’s rich history. Along the way we will discover their real identity, and their story, beyond Samuel Gorge and into the dark history early African families in Ontario. 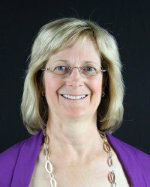 Mags is a Professional Genealogist specializing in Genetic Genealogy as founder of Grandma’s Genes in Ottawa. She earned her Bachelors Degree from Columbia College and became a Leader for WikiTree. She leads the United Empire Loyalist Project, the British Home Children Project, the Templeton and McElmoyle Name Studies, and the McElmoyle DNA Project. Work with WikiTree led to Mags starting Grandma’s Genes in 2016. Mags is a Genetic Genealogy Lecturer, Blogger and a Social Media Maven. 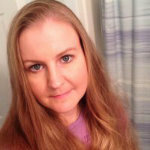 She serves as Admin for Facebook groups including the ISOGG FaceBook Group. 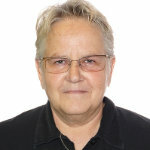 She is also a member of the Canadian Casualty Identification Team and an Honorary Teaching Fellow at the University of Dundee. Facilitated by Alexa Corcoran and Irene Rossman on 10 Dec 2019. Registration for this meeting is reserved for UGA Members only. Join now for this and other benefits. Our annual UGA DNA End-of-Year Planning Meeting is a time that the volunteers and UGA membership get together to discuss what has been accomplished, what we hope to accomplish, and the people who helped us achieve so much! All UGA members will have an opportunity to give and voice their opinions as we discuss topics affecting the group’s activity for the upcoming year including our budget, advertising, presenters contacted, and future plans. Please join us so we can all work together to improve UGA DNA. Please share this url with your friends and collegues who might be interested in attending: https://ugagenealogy.org/cpage.php?pt=378. Tell us who you want to hear from and what you want to hear about, using our survey! The “UGA - DNA Special Interest Group” Facebook Group is here. The Facebook group is open to UGA members and non-members alike. Gives regular updates on upcoming presentations and presenters and give a sneak peek at the handouts before the presentation! Will soon have links to several great resources, tools, and blogs to help you further your genetic genealogy. Provides the DNA Special Interest group a place to share information, resources and ask each other questions. If you do not use then sign-up for the DNA Special Interest Group Mailing List to get the latest news on what’s happening with the DNA special Interest Group so that you will be able to attend and benefit from our webinars and resources.